Fall season is here and the air has a fresh chill that makes us all want to bundle up a bit more. 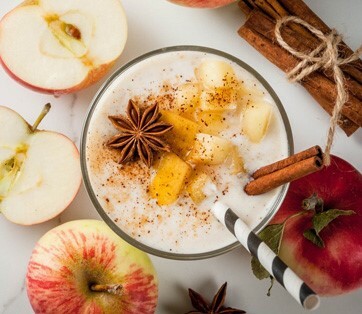 To welcome in November, we have loaded this newsletter with immune boosting tips, warming recipes and some amazing health transformation stories. So... enjoy this season of change. And... don’t forget to check out our holiday edition of the Dr. Joey newsletter coming out next month. Our gift-giving list should not be missed! Interested in bullet proof coffee? Check out my article on Cityline to learn more! 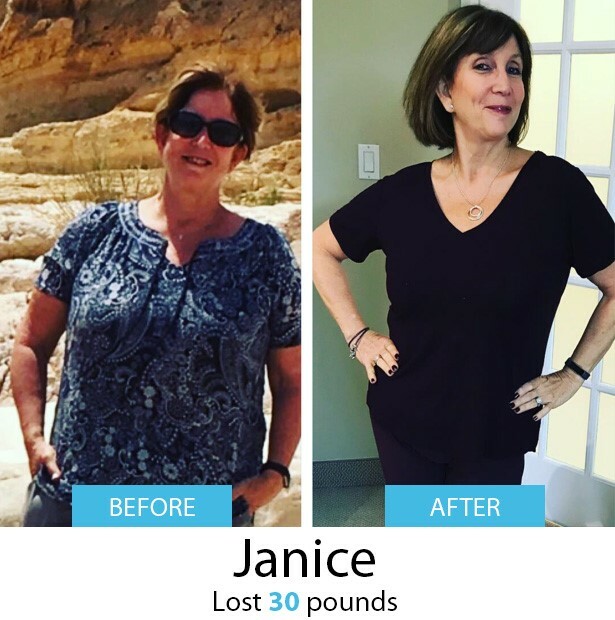 Congratulations to Janice who lost 30 pounds by working with Shulman Weight Loss nutritionist Krissy Smith. Janice – you literally look 10 years younger! If you are interested in losing weight in a hormonally balanced, 1 on 1 setting – book in at Ontario’s #1 weight loss clinics for a free initial assessment. To learn more about our amazing team of nutritionists, click here. Looking for an alternative to milk that is gluten free and not nut based? 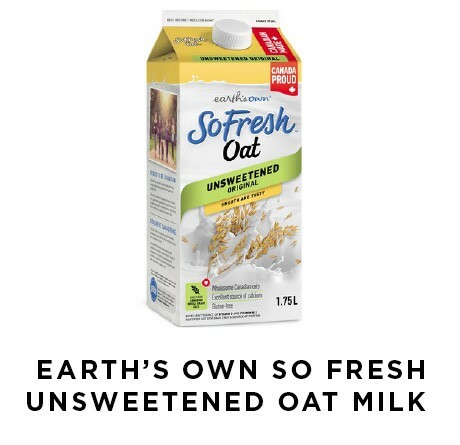 Try So Fresh oat milk - made right here in Canada. So Fresh oat milk is made with whole grains, and is free from the use of the chemical carrageenan. This dairy free alternative is great for your morning smoothies or coffee, offering a deliciously creamy taste. It is no secret – I am a natural skin care junkie and... when I find something that works I love sharing it with you! 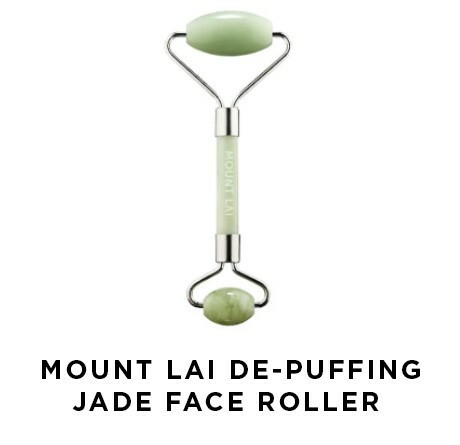 You can give your skin a mini makeover with this cooling and soothing jade roller. The roller is made with a Xiyuan jade stone that contains balancing properties and retains coolness for longer periods of time. Simply roll along your face to help promote drainage and reduce facial and jaw tension. The roller will also help to calm puffiness, reduce lines and wrinkles, and increase firmness and elasticity. Use once a day for best results. 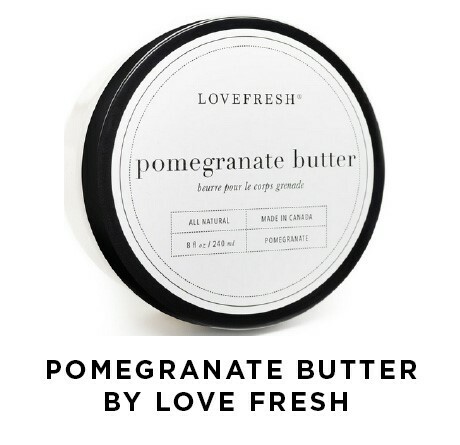 Pomegranate season is here and what better way to get into the fall spirit than with this pomegranate scented cream by Love Fresh. The thick, rich and intensely hydrating formula is packed with natural ingredients, including aloe vera, chamomile, white willow bark and calendula extracts, which leave your skin smooth and soft. It is also infused with essential oils such as natural lavender and lemon verbena that leaves a nice, fresh, scent. Looking to make the perfect matcha latte at home? Look no further! 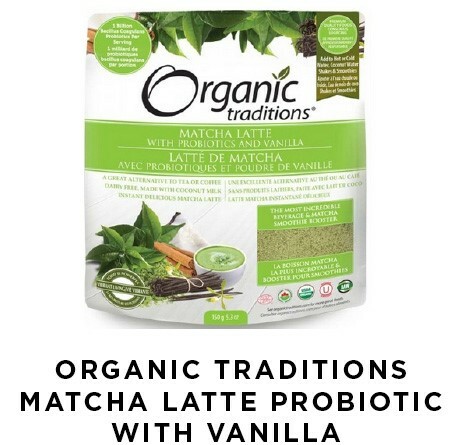 Organic traditions have truly created the most perfect blend of a coconut based matcha powder combined with delicious vanilla and gut friendly probiotics - each serving contains 1 billion beneficial live probiotics. This dairy-free beverage is a great alternative to coffee or tea and is easy to make – just add 1 tablespoon of powder to 6 oz of warm water and whisk together. 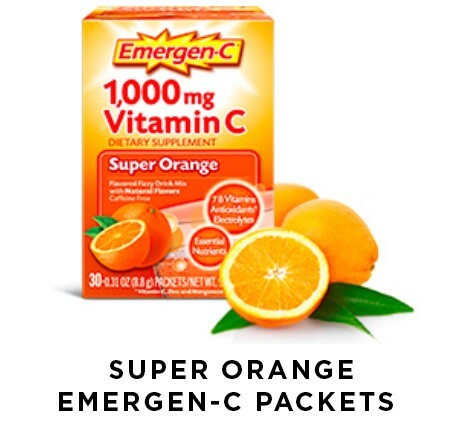 If you were to look in my purse from October to April, I always carry an Emergen-C packet in case I need a little immune boost. Containing 1,000 mg of vitamin C per packet, you simply stir into water and allow the fizz to settle before drinking. Soon after you will notice a nice energy boost along with a good dose of vitamin C and B. 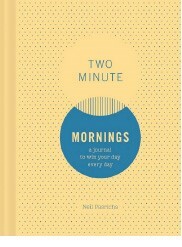 Available in super orange, acai berry, cranberry-pomegranate, lemon or pink lemonade. There is nothing like a warm bath on a cool fall evening. 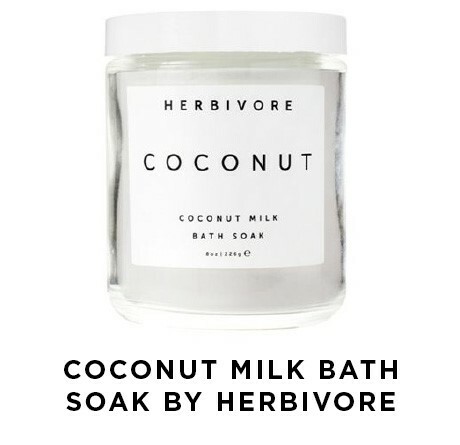 Enhance your bath this season with this natural and nourishing coconut milk bath soak by Herbivore. The organic coconut milk leaves your skin feeling hydrated and soft and the natural vanilla leaves your skin smelling fresh and clean. Add all ingredients into blender and blend on high for 1 minute, or until smooth and creamy. In a small bowl, crack eggs and whisk together. Add butter to small pan over medium heat, and add eggs into heated pan. Scramble until no longer runny. 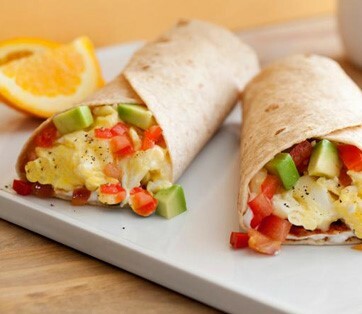 Add scrambled eggs into wrap and top with avocado, tomatoes and cheese. Whisk together mustard, 1 tablespoon lemon juice, 3 tablespoons olive oil, parsley, ¼ teaspoon honey, ¼ teaspoon salt, ¼ teaspoon pepper in a small bowl; set aside. Whisk together remaining tablespoon lemon juice, remaining 3 tablespoons olive oil, remaining teaspoon honey, ¼ teaspoon sea salt, ¼ teaspoon pepper, garlic and water in a medium bowl. Place marinade and chicken in a large zip lock bag and toss to coat; press out as much air as possible and seal bag. Refrigerate 30 minutes to 1 hour, flipping bag every 15 minutes. Remove chicken from bag. Place onto baking sheet lined with parchment paper and place into oven. 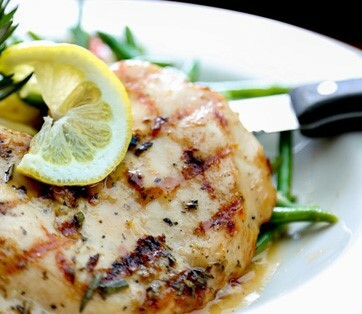 Cook for 20-25 minutes or until chicken is opaque and firm to touch. Remove from oven. Transfer chicken to a cutting board. Let rest for 5 minutes. Slice each breast into ¼-inch thick slices and transfer to individual plates. Drizzle with reserved sauce and serve. In a small bowl, add olive oil, cumin, paprika, turmeric and sea salt and mix to combine. Set aside. Remove outer leaves from the cauliflower and wash it well. Pat dry with a paper towel, then pour the olive oil and spice mixture over the top and rub it over cauliflower. Place on a baking sheet and into the oven to roast for about 45 minutes or until cauliflower is tender. In a dry pan over medium heat, toast the pine nuts, stirring often, until they are slightly golden. Remove immediately from the heat and set aside. 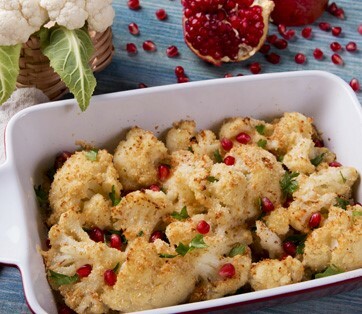 When the cauliflower is cooked through, remove it from the oven and place on a serving plate. Drizzle tahini over top, and sprinkle with the pine nuts and pomegranate seeds. Serve immediately and enjoy.